WINSTON-SALEM, North Carolina, February 26, 2014 (ENS) – An estimated 35 million gallons of arsenic-contaminated water and ash has spilled into the Dan River since February 2, when a stormwater pipe broke beneath an unlined coal ash storage pond at Duke Energy’s retired power plant in Eden, near the North Carolina-Virginia border. Wake Forest University researchers, using a 3D model created with aerial images taken by a camera on their unmanned aircraft, estimate that up to 20 million gallons of ash and water spilled out of the pond on February 2, with up to 15 million gallons being released since then. 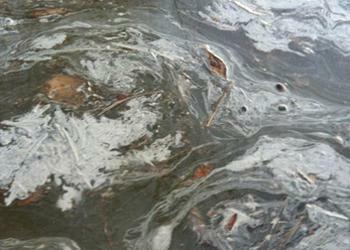 People have been advised by state regulators to avoid contact with the contaminated water. “Our goal is to help stakeholders deal with the spill and its consequences, and show the technology as a cheap and cost-effective way to monitor the environment,” Silman said. In the future, drones could be used to monitor similar incidents. The researchers have released all of their observations and data to Duke Energy, the U.S. Environmental Protection Agency, the North Carolina Department of Environmental Resources, the Southern Environmental Law Center, the North Carolina River Keepers, and the Dan River Basin Association. Duke Energy claimed responsibility for the spill, said the leaky pipe has been fixed, and says it will pay for the cost of cleanup. Even so, the North Carolina Department of Environment and Natural Resources has notified Duke that its permit to discharge to state waters will be reevaluated. On Tuesday, North Carolina Governor Pat McCrory informed Duke Energy that he wants its coal ash ponds statewide moved away from sources of drinking water. 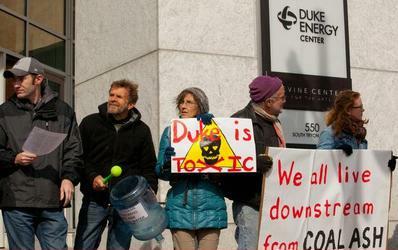 McCrory, a Republican who was employed by Duke Energy for 29 years and still holds stock in the company, expressed ongoing concern about the spill in a letter to Duke Energy CEO and President Lynn Good. The governor asked that by March 15 Duke provide to the DENR the company’s plans for the 14 coal ash storage ponds owned by Duke Energy Carolinas and Duke Energy Progress. “Please consider this request of an urgent nature,” he wrote. The U.S. Justice Department has opened a felony criminal investigation into the Department of Environment and Natural Resources and its relationship with Duke Energy. Subpoenas were issued earlier this month summoning DENR and Duke Energy officials to produce records before a federal grand jury scheduled to meet in Raleigh March 18-20. Yet DENR is considering reinstating the proposed settlement it brokered with Duke Energy over its illegal pollution at its coal ash ponds in Asheville and on Mountain Island Lake near Charlotte. Negotiated privately between DENR and Duke Energy, the settlement does not require Duke to stop polluting or to move its coal ash to safe, dry storage in lined landfills. The DENR told the North Carolina Superior Court in a February 20 letter that it may again seek approval of the settlement, which it had withdrawn 10 days earlier, according to the Southern Environmental Law Center. The nonprofit law firm represents the Sierra Club, Western North Carolina Alliance, and Waterkeeper Alliance in the enforcement action on Duke Energy’s Asheville facility and represents the Catawba Riverkeeper Foundation in the enforcement action on Duke Energy’s Riverbend facility on Mountain Island Lake. 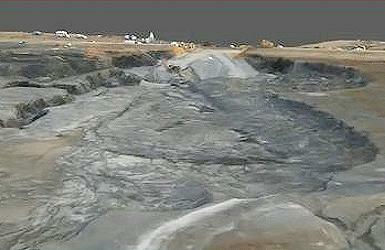 DENR also indicated that it may add other Duke Energy coal ash sites or propose other modifications to the settlement. “After the Dan River disaster, the convening of a federal criminal grand jury, and widespread calls for the cleanup of Duke Energy’s illegally polluting coal ash lagoons, it’s hard to believe that DENR is now telling the court that it may bring this discredited proposal back up,” said Frank Holleman, senior attorney for the Southern Environmental Law Center who represents the Catawba Riverkeeper Foundation. The Superior Court plans to hold a hearing on April 4, 2014, on pending motions in the civil enforcement cases against Duke Energy’s coal ash pollutions. These suits were brought by DENR after the Southern Environmental Law Center notified the state agency and Duke Energy that it would enforce the Clean Water Act against Duke for coal ash pollution. Nearly every major river in the Southeast has at least one coal ash pond holding waste from coal-fired power plants. “Containing hundreds of thousands of tons of toxin-laden waste, these pools are often unlined and have leaked arsenic, mercury, thallium, selenium, and other contaminants into the rivers and the underlying groundwater for years, if not decades,” warns the SELC. A report by the U.S. Environmental Protection Agency found that unlined coal combustion waste ponds pose a cancer risk 900 times above acceptable levels. EPA is proposing the first-ever national rules to ensure the safe disposal and management of coal ash from coal-fired power plants under the nation’s primary law for regulating solid waste, the Resource Conservation and Recovery Act. Two options are proposed – both will require liners and groundwater monitoring, and corrective action if any contamination is detected.